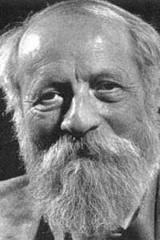 In 1938 the distinguished Jewish philosopher and theologian of dialogue, Professor Martin Buber (1878-1965) came from Germany to live in Palestine at the age of sixty. While a lifelong Zionist Buber was becoming increasingly disenchanted by the growing xenophobic brand in Israel. In its Declaration of Independence in 1949 Israel had promised “full and equal citizenship to Israeli Arabs. This was a ploy to placate the Western world still in the afterglow of the human rights movement which emerged from World War ll. The 1948 UN Declaration stated that,”Everyone has a right of freedom of movement and residence within the borders of each state,” and “Everyone has the right to leave any country, including his own and to return to that country. Boh of these rigts would in time be denied to the original inhabitants of the land they called Filastin. The somewhat innocent Martin Buber never realized the hidden machinations of the Zionist leadership whose intention was always to expel the Arab population and claim the whole of the land. Today he would be stunned at the staggering oppression and abuse of the Palestinian people. He could not help but see what the brilliant Palestinian intellectual Edward Said said in 1980 about his own people,”an anti-imperialist and anticolonialist Third World people whose basis for action includes their own dispossession as a people as well as their opposition to racial discrimination, territorial expropriation, and military occupation.” Not to mention one of the sorest wounds to the Palestinian psyche contained in the UN Commission on Human rights that “No one shall be deprived of his nationality or forced to renounce his nationality as a means of divesting the right to return to his country.” The Law of Return today in Israel means any Jew born anywhere is entitled to claim immediate Israeli citizenship and residence but no Arab can. Buber would have to conclude that the virulent nationalism of men like Ben Gurion had almost totally destroyed the Hebrew humanism he had championed. My assumption (which is why I am a fervent proponent of a state, even though it is now linked to partition) is that a Jewish state on only part of the land is not the end but the beginning. When we acquire one thousand or 10,000 dunams, we feel elated. It does not hurt our feelings that by this acquisition we are not in possession of the whole land. This is because this increase in possession is of consequence not only in itself, but because through it we increase our strength, and every increase in strength helps in the possession of the land as a whole. The establishment of a state, even if only on a portion of the land, is the maximal reinforcement of our strength at the present time and a powerful boost to our historical endeavors to liberate the entire country. We shall admit into the state all the Jews we can. We firmly believe that we can admit more than two million Jews. We shall build a multi-faceted Jewish economy– agricultural, industrial, and maritime. We shall organize an advanced defense force—a superior army which I have no doubt will be one of the best armies in the world. At that point I am confident that we would not fail in settling in the remaining parts of the country, through agreement and understanding with our Arab neighbors, or through some other means. Ben Gurion was the apotheosis of the blind nationalism divorced from Torah compassion. Haroon Siddiqui wrote a fine Anti-amnesia column in the Star. His topic was the unsung heroes of the anti-apartheid struggle. Apartheid did not go gently into the night. It was pushed and shoved by thousands of anonymous “small people….church activists who organized on moral grounds against the evil of the system. Siddiqui names several from the different faith traditions–Bonnie Green, Moira Hutchinson, Jim Webb sj and the great Anglican bishop Ted Scott. Academics played a huge part John Saul at York, Joanna Naiman at Ryerson who is still ferocious in her resistance to the present apartheid state Israel. In 1982 Many of us took our money out of the Bank of Commerce when we found an alternative : the TD Bank was breaking with South Africa. “Yes, I don’t like blood with my wine.” We boycotted South African wines. Many of today’s Catholic bishops now in their 60s were nowhere to be seen. What had the gospel to do with apartheid? These men now head major sees. And oh those Tories like Tony Clement. Many remember his role as president of the young Tories at the U of T.. Clement and pals decided that the Law School should invite Glenn Babb, the South African Ambassador, to defend apartheid. As for the ANC—they were terrorists. My friend Lennox Farrell a fellow teacher was so incensed he ended up tossing a gavel at the smooth Babb. Clement oozed his way up the Tory pole and now sits as a cabinet minister, part of the demolition team undercutting the common good. All those other Tories—Flaherty, Harris, Baird—too busy building their careers to get engaged in such an issue. And remember Conrad Black support the ANC rival Buthelezi? 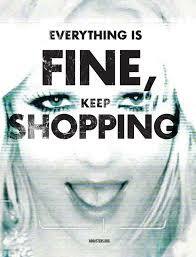 Capitalism however acts as a scrubbing machine erasing our memories ever intent on the latest diversion. Some people (like Siddiqui and nobody at the Sun) however do remember who stood tall in those years.And we remember that Mandela consistently supported the Palestinian struggle. Thanks to columnists like Siddiqui we remember, just like we remember Mandela’s great friendship with the Palestinians. Maybe that is why Netanyahu never showed at Mandela’s funeral. Why pay tribute to that Palestinian lover? 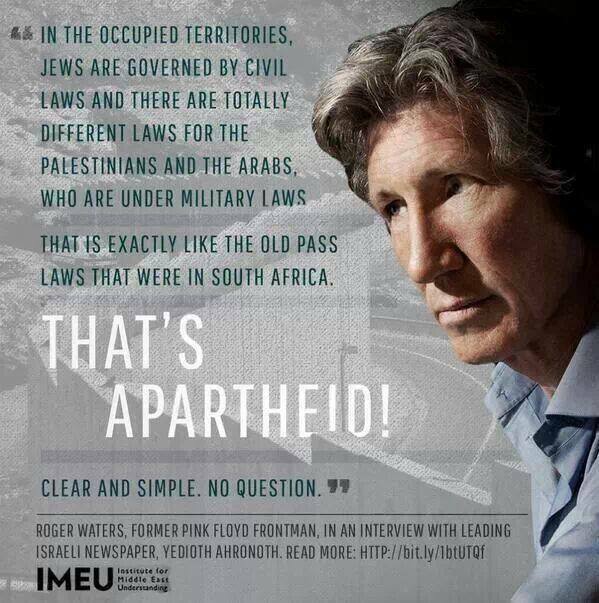 maybe now the world can move on to apartheid Israel. The first naïveté refers to the interpretation of scripture (or religious belief) where everything is taken at face value. This is the same as saying that the person in the first naïveté believes everything about his religion literally. A socio-political reading of the gospel. To be “good news” the gospel must be contemporary, speak to us in our historical situation. The mighty symbols of the birth stories—Herod,no room at the inn, following the Star are in Michael Dowd’s words “night language”, spectacular images of emotional truth. They are metaphorical, not to be read like “day language” of everyday discourse. Here is my latest attempt. It reflects Jesus under occupation as he was in antiquity by the Romans. Today Jesus alive in the oppressed Palestinians lives under Israeli occupation. Roman writers of antiquity could not grasp the dynamic spread of the Jesus Movement. Men like Tacitus quoted here, were beside themselves as the exitiabilis superstitio (pernicious superstition ) continued to make inroads in the vast empire long after Jesus’s public execution. The description of, this great Roman historian, is typical of the time—shocking disbelief that a “dominus et deus” could come out of Galilee, part of a backwater Roman province. My prose poems attempt to unpack the good news for our time. In the words of the great German theologian Johann Baptist Metz, these are “dangerous” stories. I have simply tried to let them speak to our era. Each year demands a new interpretation. If the four gospels do not reproduce a “fifth” for our age, they are simply “old news” and not “good news.” I have tried to be faithful to the contemporary manifestation of the Spirit, the Divine Disturber. I am indebted to my great teacher in England, Hubert Richards who set me on this path in 1971. Then they opened their treasures and presented him with gifts of gold, frankincense and myrrh. And having been warned in a dream not to go back to Herod, they returned to their country by another route. 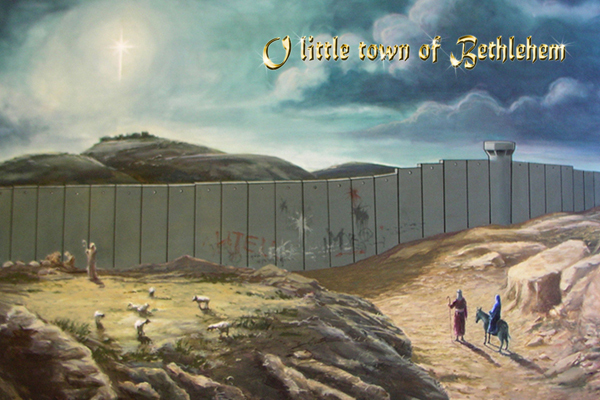 And on the way they came upon the “apartheid wall”. Dumbfounded they asked Samir who was weeping nearby in his destroyed olive grove. “See for yourselves,” he said through his tears, ”twice as high as the Berlin wall, criss crossing Palestine, 4000 miles of concrete hatred. It rips neighbourhoods, isolates us from friends and family, steals productive farmland and water supplies—all illegal under international law. We are imprisoned in ghettoes much like Lodz, Lublin and Vilna were in the Shoah. Settlers from Russia and America are connected by “Jews only” roads, free to travel to loved ones—1660 kms. Such a democracy! Repression continues. Herod has not died. But the baby lives and his Spirit surely will cut through this wall. Readers learned about the deplorable conditions in the shelter where she was living in a single room with her parents and seven siblings. They learned about the rats, roaches, and mold; about inspectors who wrote reports that led to no action; they learned about charges of sexual abuse by staff; and about a myriad other horrors in which Dasani and thousands of other children were living. They learned that New York City now has 22,000 children who are homeless, a historic high. The series was brilliantly written by Andrea Elliott, an investigative journalist. Eliott acknowledged that a large part of Dasani’s fate was caused by her dysfunctional parents, who were unemployed and fighting drug addiction. But she also blamed city policies, that had created the system in which the family was ensnared. Mayor Bloomberg was asked to comment on the series, which stirred wide attention. Sadder still is the hubris of billionaire Bloomberg whose theology needs a radical reboot—especially at this time of year. “That’s just the way God works”. Count me an atheist to this god. Roger Waters is the front man and driving force behind the legendary rock group Pink Floyd. More importantly, he has become the most fearless artist supporting the Boycott Divestment Movement against apartheid israel. There have been other artists (Elvis Costello, Carlos Santana, Stevie Wonder etc.) who have done the minimum—refused to play Israel as long as it persists in its manifold human rights abuses against Palestinians and its defiance of international law. Waters is to become the Michael Moore of his generation. For pure courage, Moore with his social justice background stands as the Catholic prophet of the last 20 years. When silence reigned supreme in the imperial Bush years Moore confronted American hubris and war making. Waters is made of the same stuff. “The Jewish lobby is extraordinary powerful here and particularly in the industry that I work in, the music industry and in rock’n roll as they say, I’ve spoken to people who are terrified that if they stand shoulder to shoulder with me they are going to get f-cked. Musicians often use contemporary argot! Speaking of much of the rabbinate Waters stated,” They believe that the Indigenous people of the region that they kicked off the land in 1948 and have continued to kick off the land ever since are subhuman. While not drawing a parallel with the Nazi regime, Waters likened Israel’s brutal discrimination against native Palestinians, its separate laws, infrastructures such as roads, electricity,its racism to similar trends in pre-war Germany. Why the silence then in the artistic community? In August, Waters called on fellow musicians to join a boycott of Israel. Our magnificent daily, The Toronto Star still suffused with the principles of its Methodist founder Joe Atkinson (comfort the afflicted, afflict the comfortable) is constant its defense of the common good. 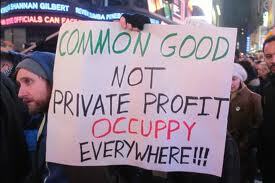 It resists the dismantling of the commons by stealth of the Harper government, as mean-spirited aggregation we have ever seen. There is a columnist Carole Goar who is a national treasure. She sees society from the bottom up. In the final hours before Parliament adjourned for its eight-week Christmas recess, James Rajotte , chair of the finance committee, quietly tabled Income Equality in Canada: An Overview. A quick glance at the 69-page report shows why the Conservative MP waited until the last possible moment to release it, precluding parliamentary debate and minimizing public attention. It is a pathetic piece of work. It heaps praise on Prime Minister Stephen Harper for his regressive policies. It says nothing about lifting low-income Canadians out of poverty, nothing about tackling the desperate shortage of affordable housing in the country, nothing about increasing the Canada Child Tax Benefit, nothing about improving public pensions and nothing about shoring up the country’s deteriorating social programs. The Canadian Catholic Bishops should put her columns on their website. I try to take the Advent advice seriously. Awake, look around, shake yourself from your slumber. On one side we are called to “pay attention”. See what PM Harper and his gang is doing. The values of the kingdom challenge me to denounce such terrible policies and to act to change them. My politics are never contained in any one party. The politics of the kingdom or God’s holy commonwealth informs my electoral politics. I will never find the perfect party so I must come to terms with the human condition and support the one which most embodies the gospel values I hold dear. Needless to say the Harperites fail calamitously here. Their disregard for the poor and their horrible violation of the earth put them beyond the pale. But denunciation is just a part of my choice. I must have an annunciation. Where is the good new in my daily life which i must celebrate , champion and sing about. The second Sunday of Advent, Jesus’ favourite prophet Isaiah reminds with righteousness he will judge the needy,with justice he will give decisions for the poor of the earth.” Hence Carole Goar. Look around and see the miracles of human compassion, solidarity, human concern. On the way into the coffee shop outside the daycare I laughed as a 2 year old, his father watching in bemusement, stomped with glee through the snow. And last week getting off the Go Train at night I fell and scraped my knee and hand. I heard, a voice behind me ”Are you alright, sir”, I looked up from the ground and saw a young man rush toward me. I am still living in the glow of that solicitousness. A pure sacramental moment. Our Advent liturgy committee met as it does every year to plan the four weeks of Advent, always a favourite period of mine. The church calendar invites to go deeper, take time,to leave behind the mad rush of the Christmas steeplechase which surrounds us at this time of the year. We look at the readings. What do they say to us today in this big city? This year i suggested that we might look at the theme of looking around us. 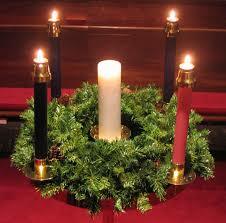 It leapt out at me in the first gospel of advent Matthew 24:37-44). We just need better vision, new eyes to understand and see this. They are common, everyday occurrences. And Brian our masterful musician learned it quickly. I remember Teilhard saying years ago: To those with eyes to see nothing is profane. Brian Mulroney, a former Prime Minister who was a Conservative finally saw the light and threw in his lot with Nelson Mandela and the ANC in their fight against apartheid. Canadian Prime Minister Stephen Harper attending Mandela’s funeral in Johannesburg has yet to connect the dots and speak out against the new apartheid regime in Israel. “Israeli Apartheid”while dissimilar in some ways to South African brand means “separate development” much like South Africa—the segregation of populations similar to the bantustans, two legal systems, two infrastructures, horrible imbalances in education, water and “Israeli only roads”, travel restrictions.,no Law of Return for Palestinians.The horror show goes on and it is obvious to all who care to see. What prevents Stephen Harper from seeing this? Pure, blinkered ideology unbecoming a head of state and an intelligent human being. Two notable Israeli figures took a pass on Mandiba’s funeral: Bibi Netanyahu and Shimon Peres. Israel in the ‘70s and ‘80s was a full, enthusiastic partner of the apartheid regime. Until this day, millions of South African citizens have not forgotten nor forgiven Israel’s role. … Yesterday’s announcement of the cancellation of Netanyahu’s flight to the ceremony shouldn’t have surprised anyone. The leader has not yet been born who will knowingly step into a boiling pot of hatred and contempt. Netanyahu, if he were to go to the funeral, could attract headlines in the world media – negative ones. It’s a great honor to stand at a funeral alongside the presidents of the United States and other countries, next to kings, prime ministers, princes and the who’s who of the world. But it’s a very small honor indeed to have hundreds of TV cameras aimed at you when you are rejected, ostracized, disgraced. Two heads of states: one goes to Mandela’s funeral while supporting Israeli apartheid; the other stays away because he does not want an international light shined on Israel’s former embrace of the South African apartheid regime. Both small men devoid of a scintilla of justice.The wellsprings of compassion have dried up. Dief was on to something. Well, now it’s happening to Nelson Mandela. You won’t find this quote in all of the official eulogies. Nor will you find much mention of Mandela’s unflagging support for Fidel Castro and the Palestinian people. The great African lion never wavered from his support for for the Palestinian people and his criticism of Israel. Haven’t read that anywhere either. Now poor old Mandela is about to be licked—-again. Free agent outfielder Jacoby Ellsbury, fresh off winning the World Series with Boston, reached agreement with the rival New York Yankees on a seven-year contract worth about $153-million, a person familiar with the negotiations said on December 4th. The same night longtime Red sox fan and noted baseball afficinado Ted Schmidt announced his divorce from the summer game. “This is the final straw”, the Scarboro community theologian stated in Toronto’s Hush Free Press.”The great game is in the hands of accountants and players with no allegiance to anything but their pocket books.Loyalty is a nineteenth century word, long gone from the vocabulary of today’s mercenaries. I have notified the Red Sox that their longstanding fan is out for good. As I once said to the great Japanese scout Aki Yoshamoto whom I first met in Oakville in 1960, Sayonara!